If the idea of proposing has crossed your mind, you should start saving for an engagement ring now. Although the price of an engagement ring varies widely, the most important things to do are budget and research. While learning about the 4’s will help you understand your budget, you’ll still need to come up with the money. Since an engagement ring is meant to be a once in a lifetime purchase, you have to get it right the first time. Be certain you can afford the ring she deserves by starting to save now. Although we’ve covered the “three months salary myth” before, it’s worth revisiting. When trying to decide how much to spend on an engagement ring, there is no fixed price. However, there are some general ideas that can help you understand what your budget needs to be. First, consider the size and quality of the diamond you wish to purchase. The typical size of an engagement ring is approximately 1 carat. While the average cost of a 1 carat diamond ring varies from $1100 to upwards of $5000, be prepared to spend towards the top end. 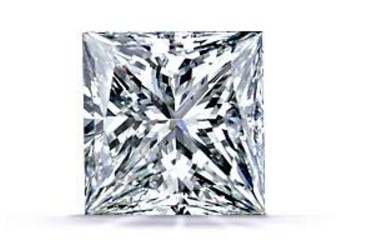 Diamonds that have a better quality cut will produce higher amounts of fire and brilliance. When saving for an engagement ring, plan on buying a diamond that truly sparkles to avoid any buyer’s regret. One mistake many men make is buying an engagement ring with a diamond they intend to upgrade later. While it is nice to know this is possible, this is not what should set your budget. There is a good chance you will be disappointed in the size of a smaller diamond. So, the best plan of action is to not buy a half carat diamond when you really want a one carat. By starting to save now, even if you haven’t started shopping, you’ll give yourself a larger budget. In the end, you should only purchase a ring that you can truly afford. But, with a good budgeting plan and a carefully thought out proposal, you can create the custom engagement ring of her dreams at a price you can handle. After you set some money aside in your savings, start your diamond education today from Adiamor!